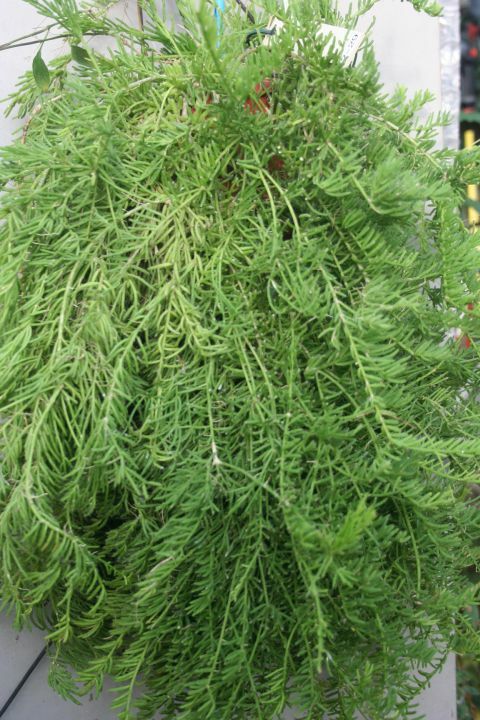 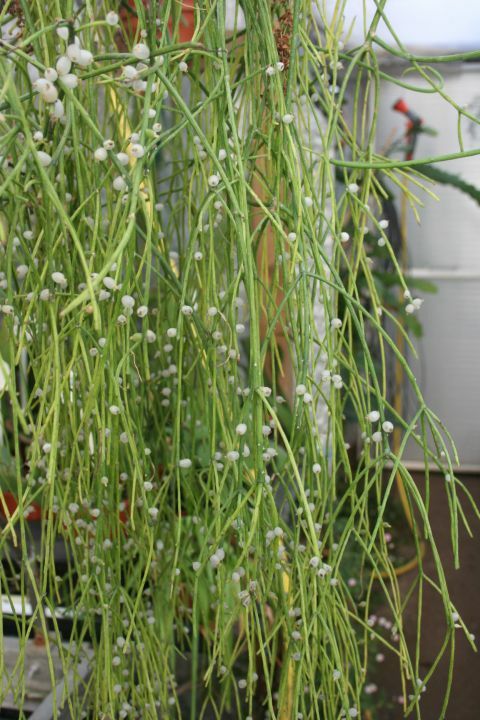 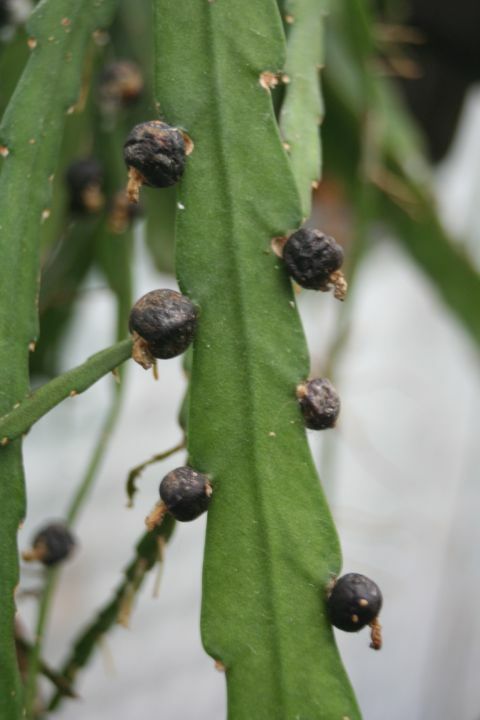 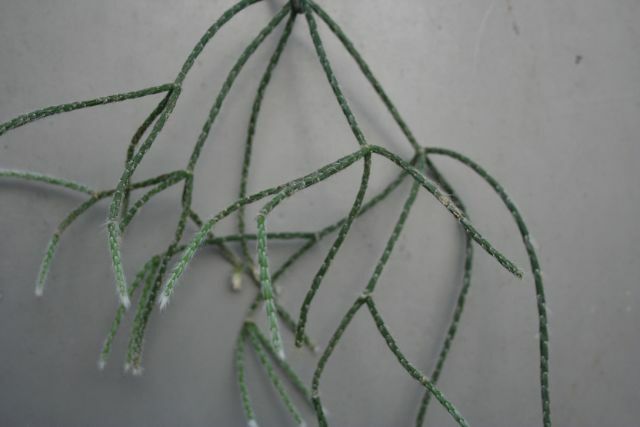 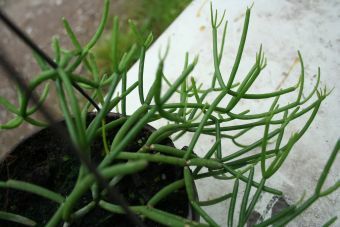 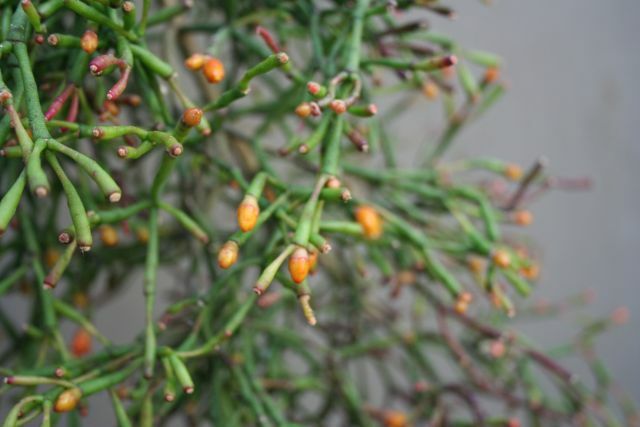 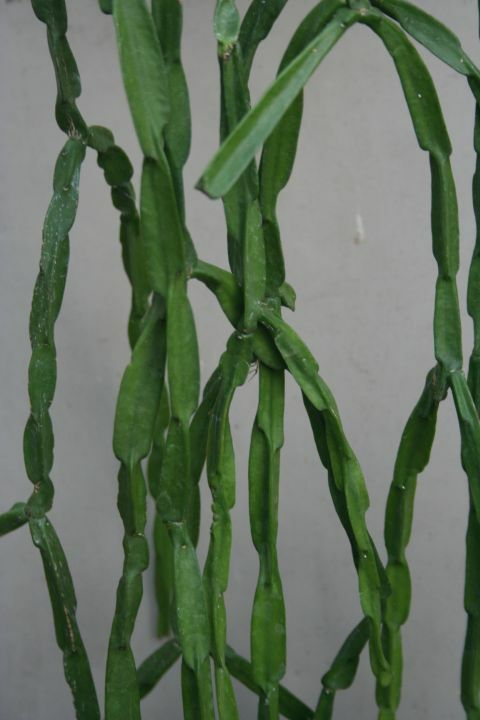 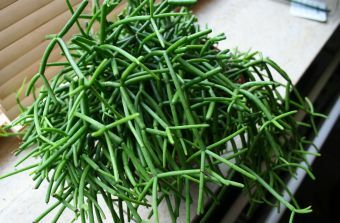 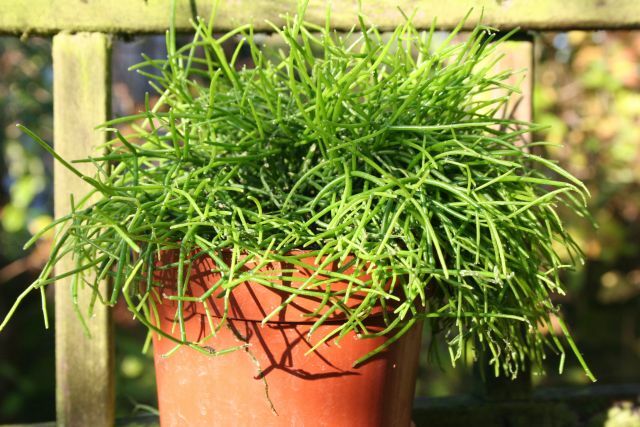 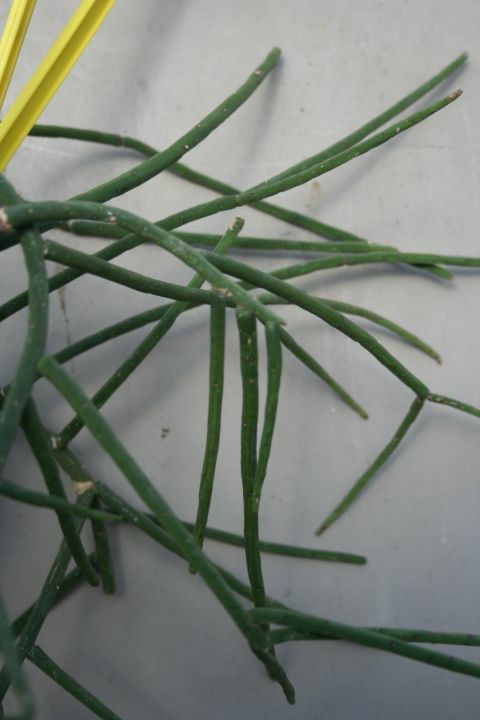 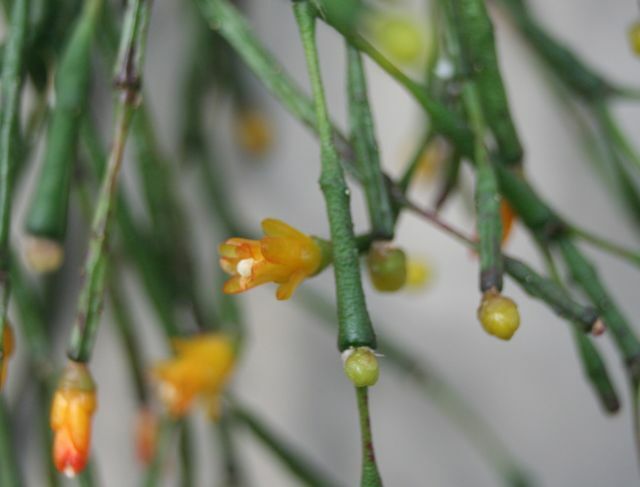 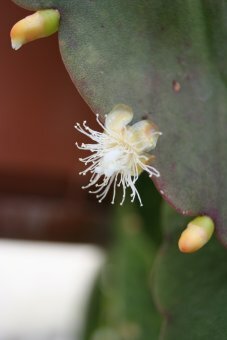 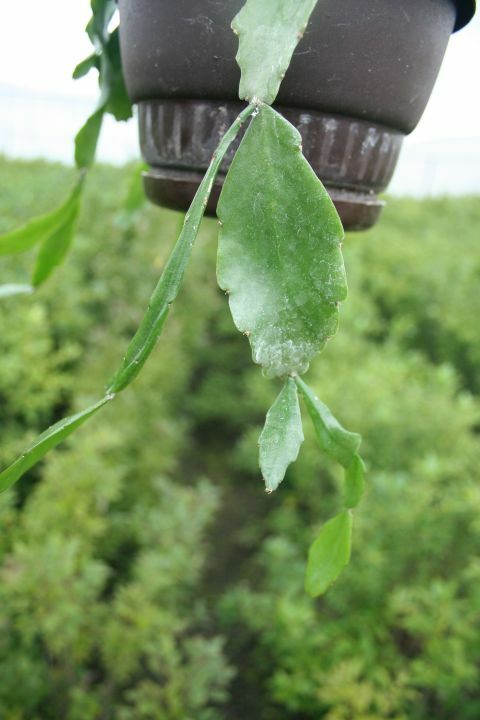 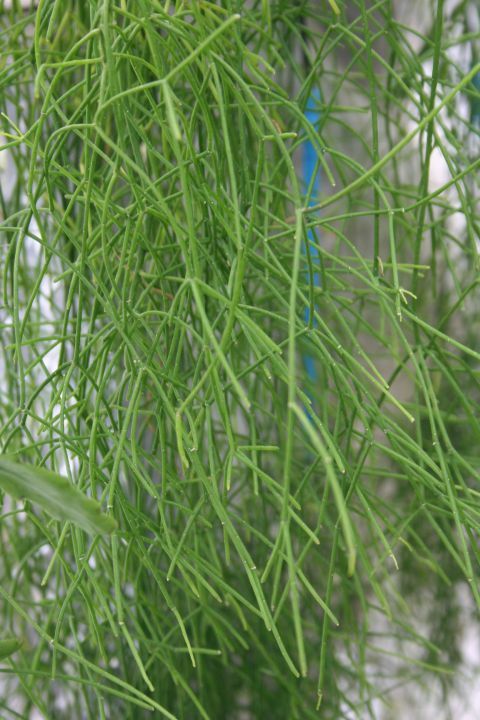 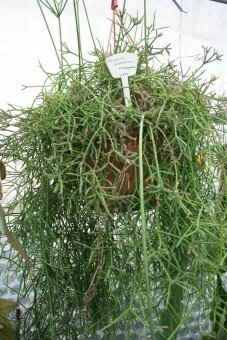 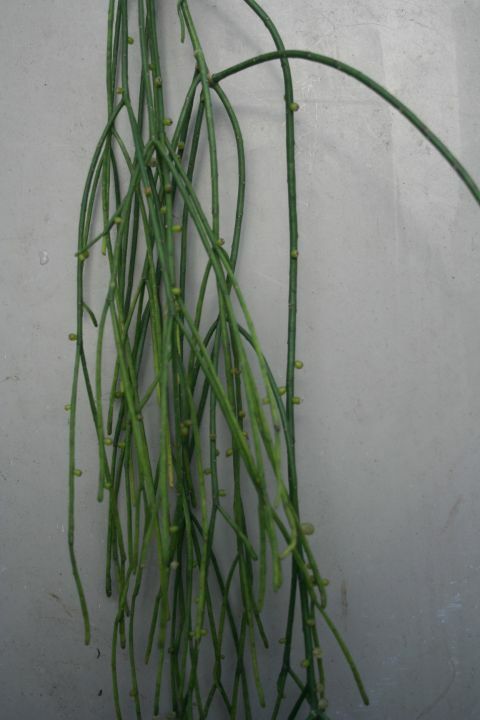 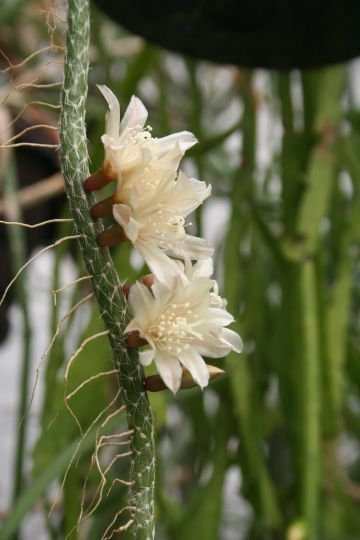 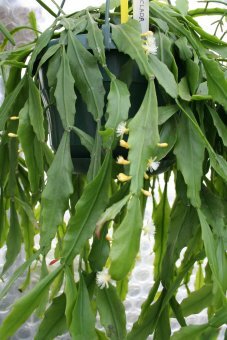 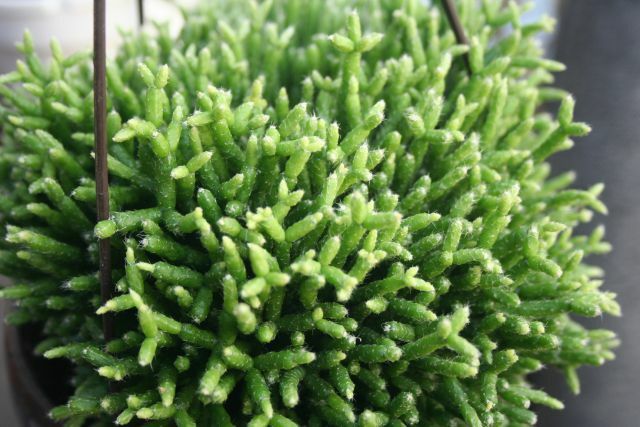 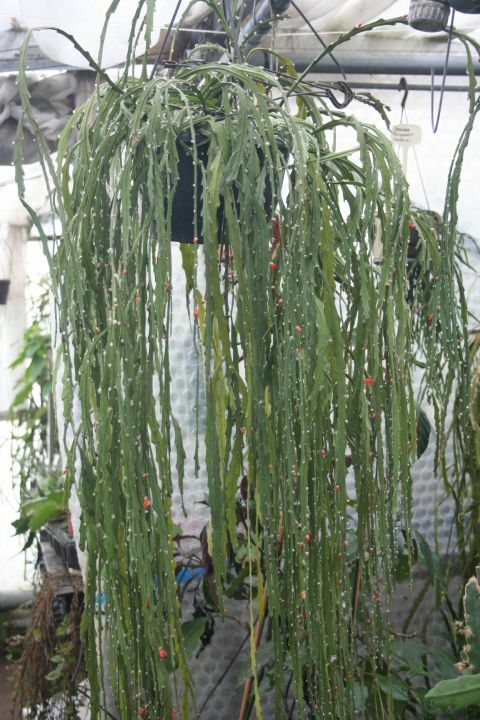 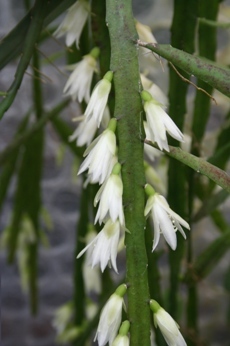 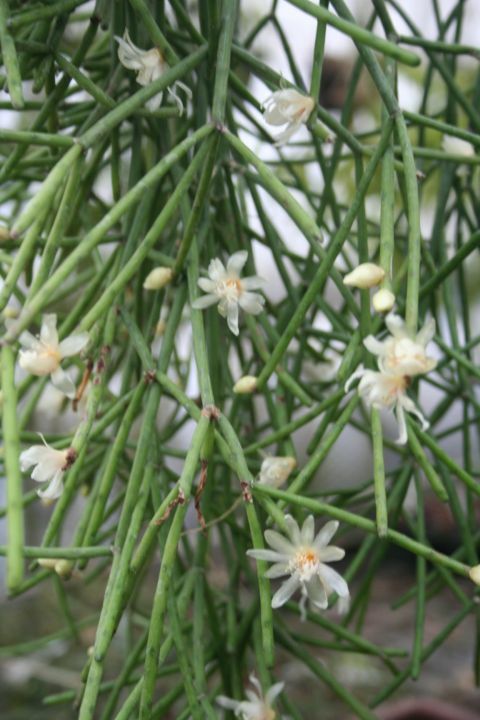 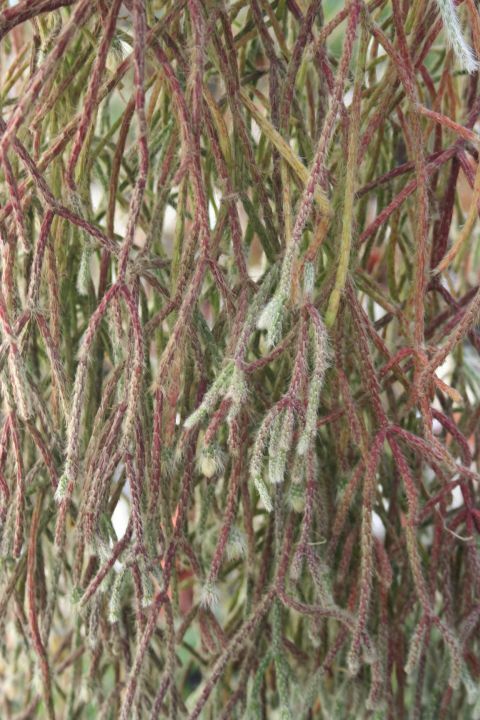 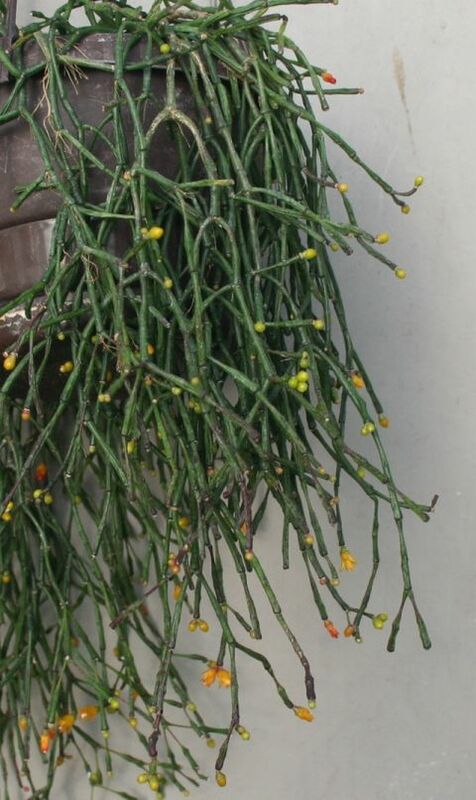 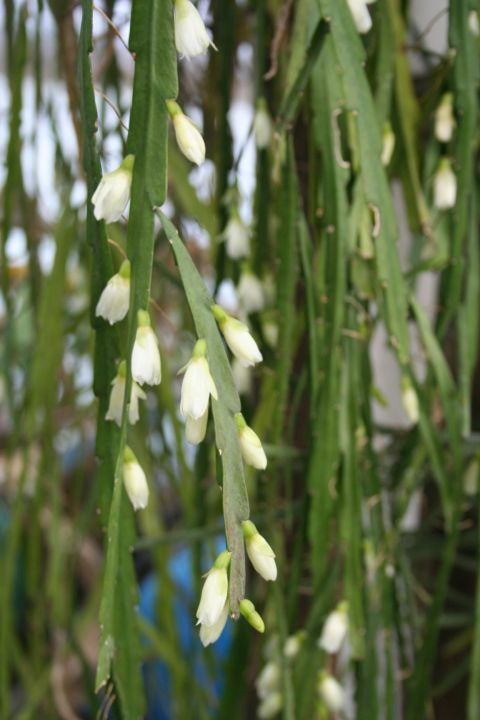 Rhipsalis - De website van paulshirleysucculents! 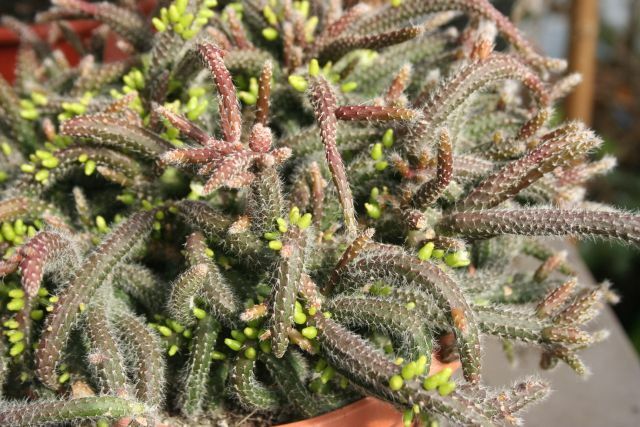 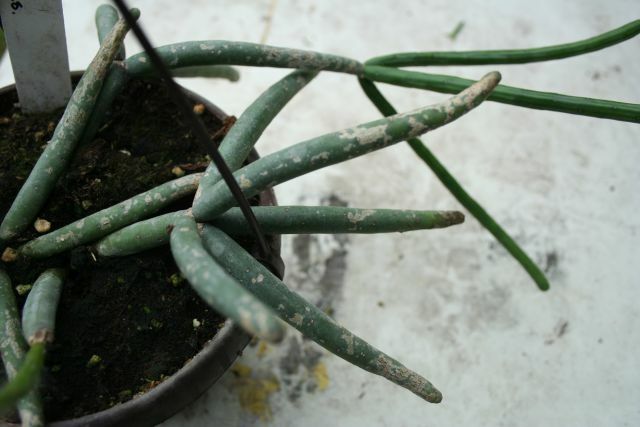 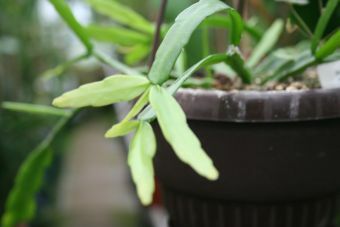 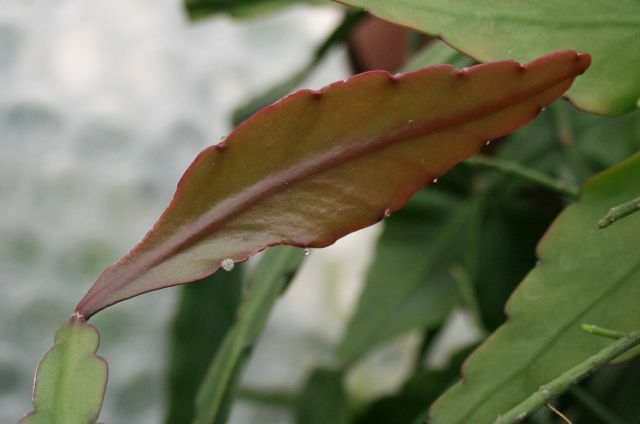 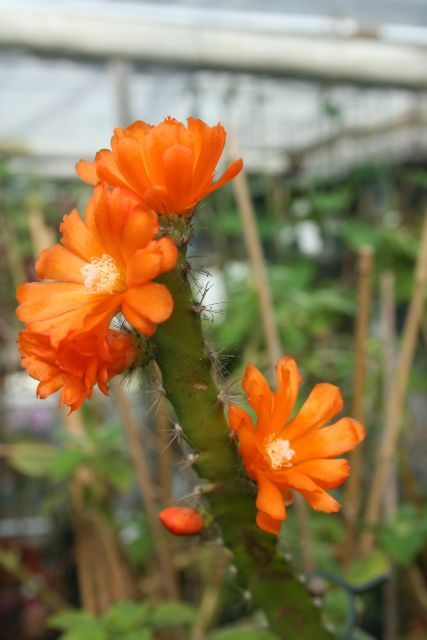 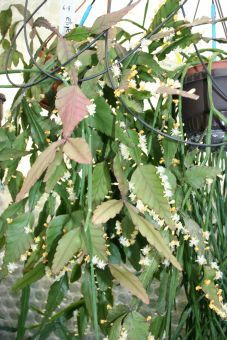 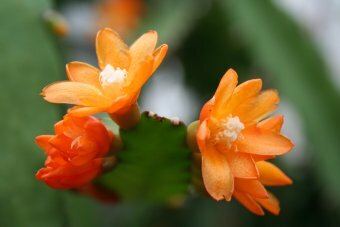 This species comes from Brazil and is very easy to propagate by cuttings which need to be left for about a week to dry before being put in the soil or rooting medium. 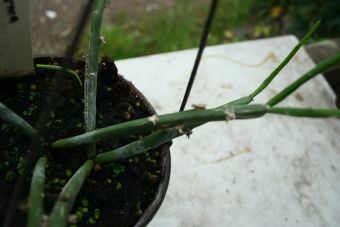 As you can see from the picture, it will grow into a fairly large plant, so give it some space. 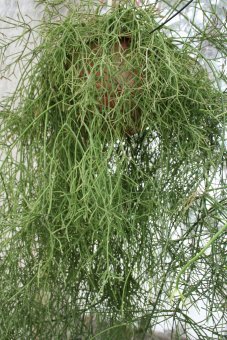 I grow it in shade and it does very well there; maybe it can take more sun, but I have not tried that yet. 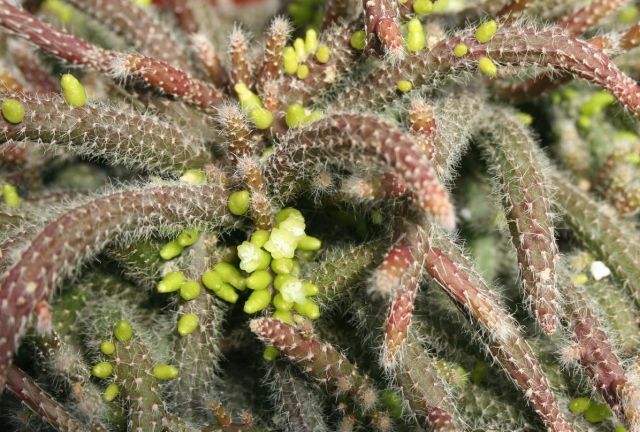 This species comes from the Ilha Grande, an island north of the Seta Quedas Falls in the state of Parana, Brazil. 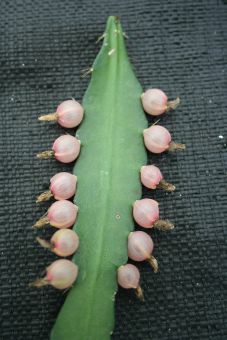 This species was found by Carl Wercklé in Costa Rica. 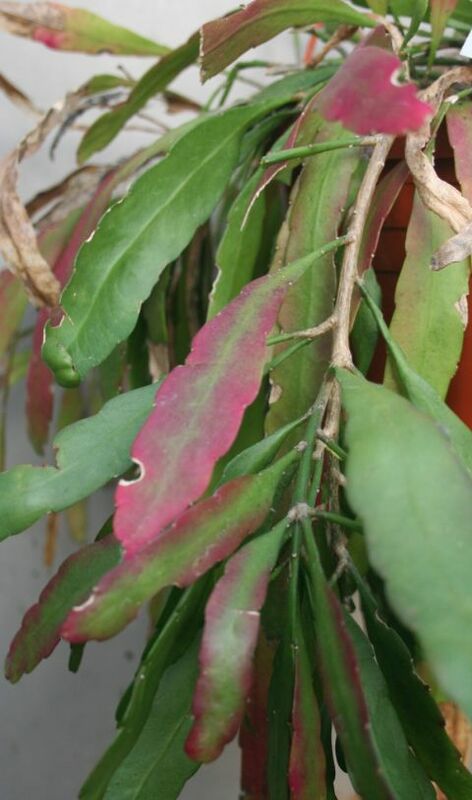 It also occurs in Columbia, Western Venezuela, Ecuador and Northern Peru. 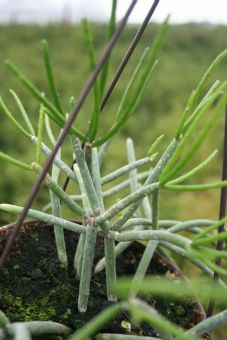 It can be found in altitudes up to 2100 mtrs. 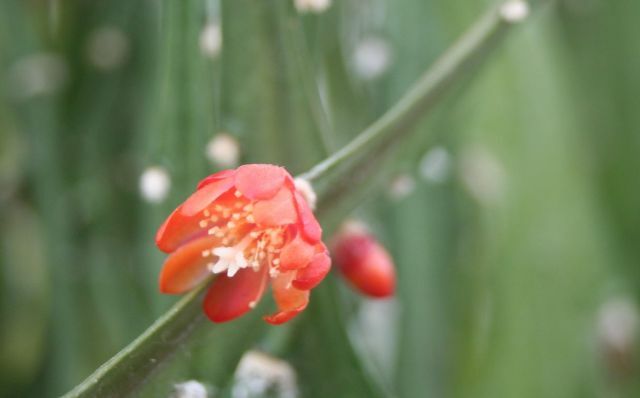 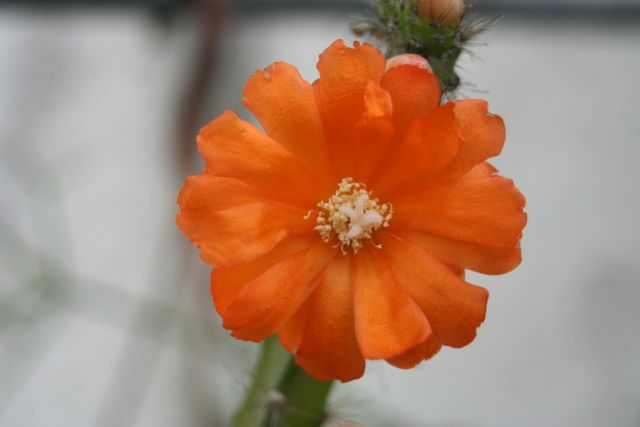 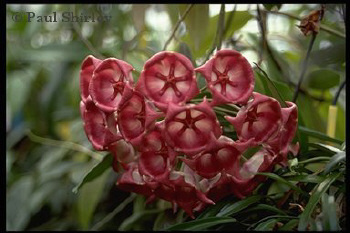 It is one of the forms, or is closely related to R. micrantha, all depending on which botanist you believe. 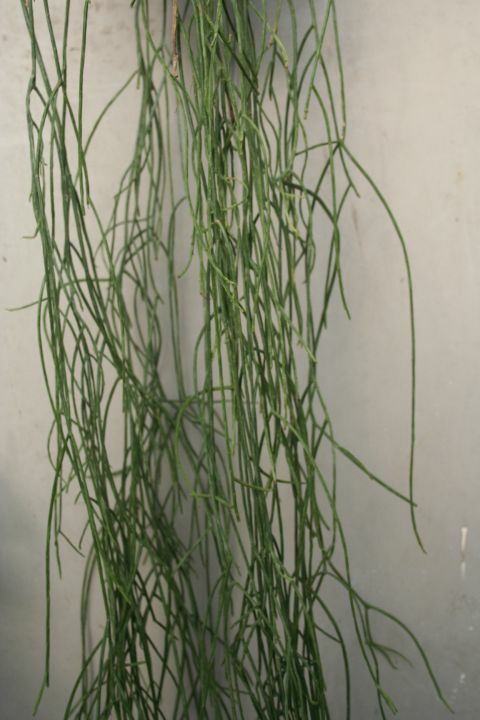 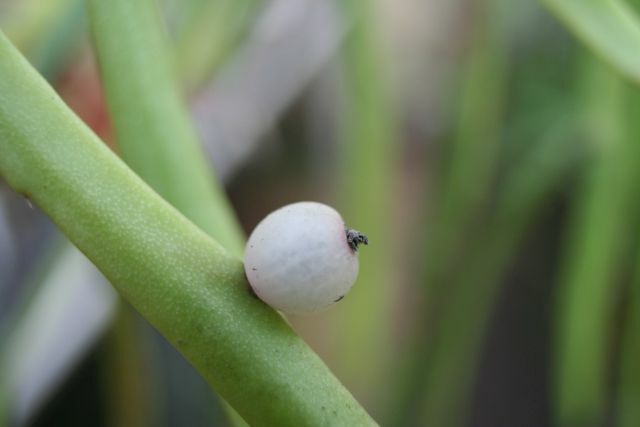 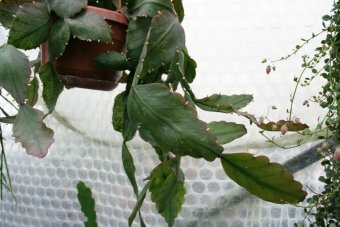 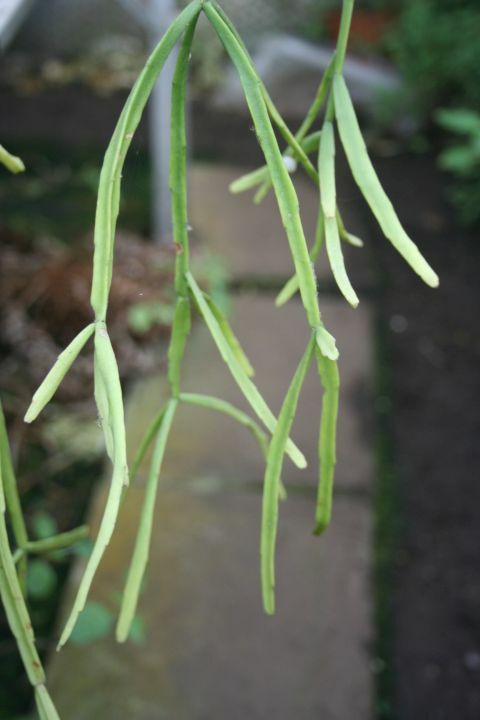 The plant can reach a length of about 1.5 metre. 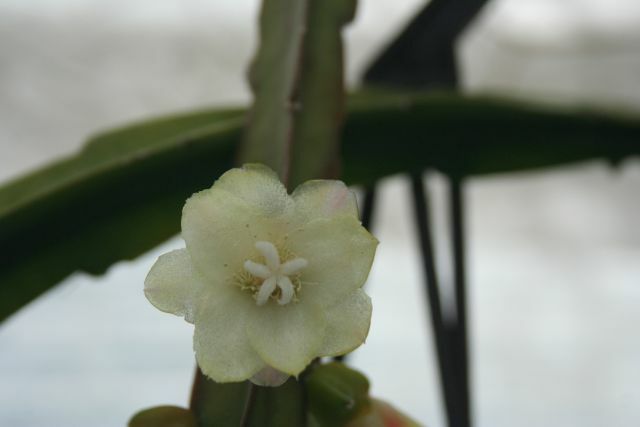 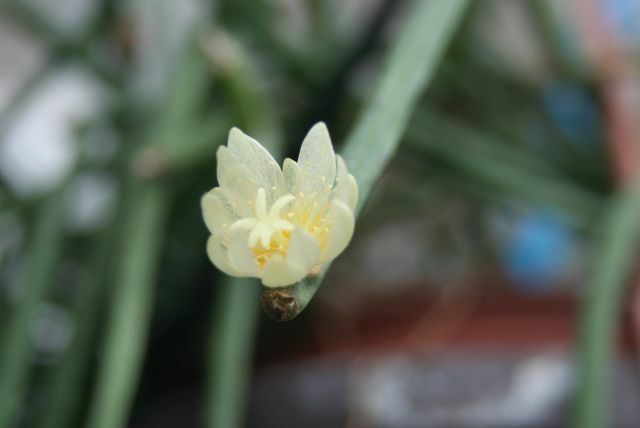 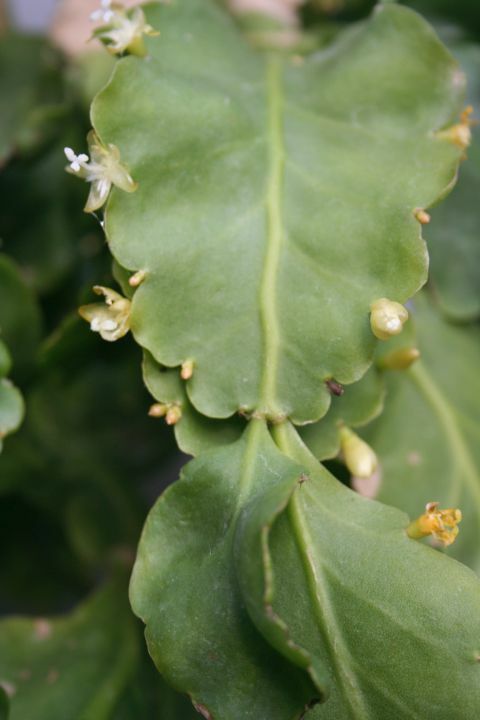 The flowers are small and white with a green base. 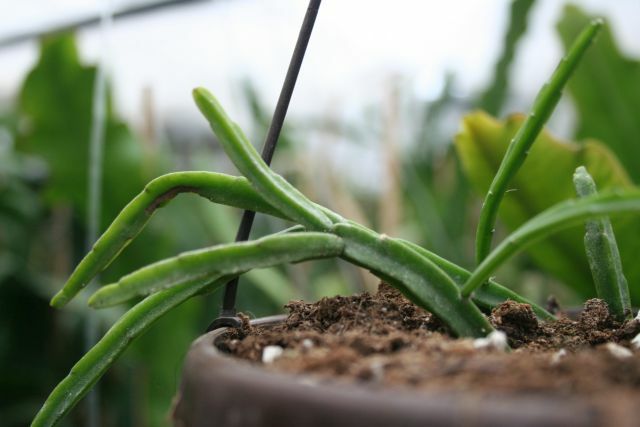 The plant is very easy to grow and propagate. 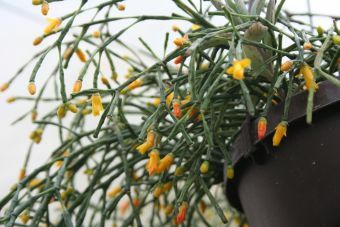 It will take various conditions, from quite cool to quite warm (10-25°C) and it grows fairly quickly, giving a sizeable plant in a couple of years. 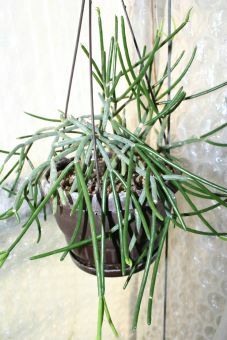 They are best grown in hanging pots to give the leaves enough room to develop.